Draw your own nightmarish art inspired by the horrifying world of H.P. 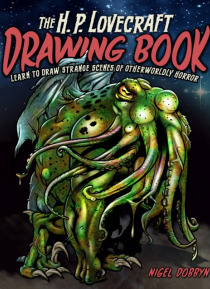 Lovecraft.Science fiction artist Nigel Dobbyn provides 16 projects for you to sketch, all with easy step-by-step instructions. Choose from ghouls, tentacled creatures, terrifying alien beings, and reptilian gods from beyond our universe.With detailed information on all the materials you will need and clear tutorials for the bas… ic techniques, you won't need any prior drawing skills to master these otherworldly monstrosities.